BASF was using multiple bespoke tools to execute diverse workflows including polymer, process and catalytic chemistries into bioprocessing and materials testing. The company wished to increase productivity by improving their data management and workflow solutions across research areas. Data was kept in numerous information silos and across departments which made it difficult to collaborate on research. 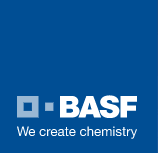 The E-WorkBook Suite was deployed across BASF as a replacement for a number of legacy systems so that information exchange between the research groups could be optimized and the number of interfaces can be minimized. The solution provides informatics and process improvements with the ability to secure, integrate and access research data worldwide, and the flexible framework, with generic functions and pluggable domain specific extensions, ensures BASF can capture and analyze all their data as it is generated across diverse disciplines. E-WorkBook provides a unique single platform enabling domain specific workflow automation and data management that is easy to deploy, train and use, and ensures that information silos can be accessed across different departments making it easier for groups and/or collaborators to share information. IDBS’ single system approach maximizes the speed and control of deployment and ease of training.